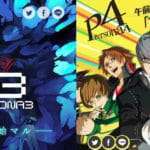 Following the news that the MMORPG Shin Megami Tensei: Imagine would be shutting down in Japan on May 24, 2016, Atlus has recently registered several new website domains pertaining to the Megaten massively multiplayer online role-playing game. 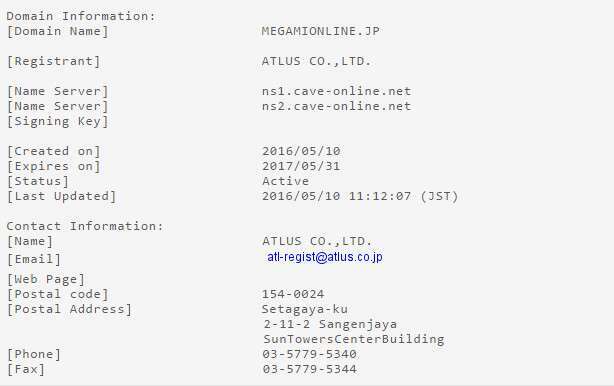 According to a WHOIS domain lookup, Atlus has registered three different official domain names seemingly related to the Megaten MMO last week on May 10, 2016. 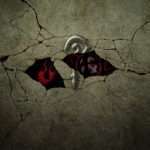 The current official website for Shin Megami Tensei: Imagine is MEGATENONLINE.COM. The reason as to why these new website domains would be registered by Atlus just as the Japanese version of Shin Megami Tensei: Imagine is planned to be shut down in only a week is unknown. 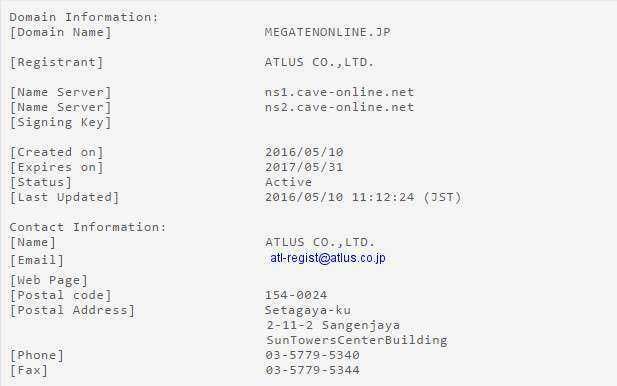 The previously registered website domain by Atlus of note was MEGATEN4F.JP on September 24, 2015, which would turn out to be the official website for Shin Megami Tensei IV Final. 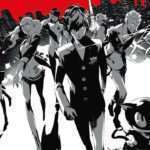 Shin Megami Tensei: Imagine is a massively online multiplayer RPG with the framework of an SMT game that was released on April 4, 2007. 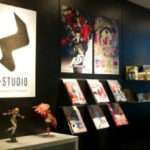 The game takes place in a collapsed Tokyo, with players assuming the role of “Demon Busters” who fight and converse with demons to survive in its harsh world. 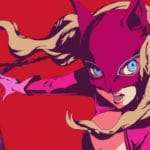 The English version was shut down on February 28, 2014 and the Japanese version is set to shut down on May 24, 2016. Thanks to @MysticDistance for the news tip.